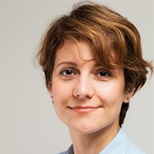 Dr Sara Hajikazemi is a lecturer in Project Management for the Business and Enterprise division of the School of Business. Dr Hajikazemi has obtained her PhD and MSc in Project Management from the Norwegian University of Science and Technology. She has several years of experience in teaching, research and enterprise in the field of project management and has performed research on a variety of projects within different industries including oil and gas, construction, manufacturing and healthcare. She has published her research in peer-reviewed and well recognised journals within the field of project management and has presented her research in tens of academic conferences and business workshops in Europe and overseas. Hajikazemi, S and Ekambaram, A and Røstad, CC and Henriksen, B Overcoming barriers against interaction on innovation capabilities within and between smes. In: IFIP WG 5.7 International Conference, 26-30 Aug 2018, Seoul, Korea. Hajikazemi, S and Razmdoost, K and Smyth, H Value Co-creation through Early Warning Signs in a Project Setting. In: European Academy of Management (EURAM), 21 Jun 2017 - 24 Jun 2017, Glasgow, Scotland. Hajikazemi, S and Olsson, N and Ekambaram, A and Andersen, B and Langlo, JA Downfall in the Oil Price; Challenges and Opportunities for the Construction Industry. In: 9th Nordic Conference on Construction Economics and Organization, 12 Jun 2017 - 14 Jun 2017, Goteborg, Sweden. Hajikazemi, S and Arica, E and Semini, M and Andersen, B and Alfnes, E Detecting Early Warning Signs of Delays in Shipbuilding Projects. In: Advances in production management systems, 7 Sep 2015 - 9 Sep 2015, Tokyo.